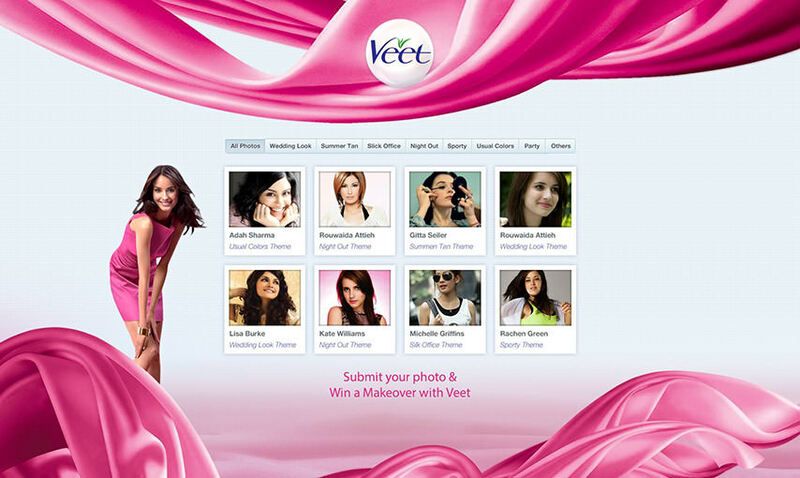 Veet held a contest called “Beauty of the Nile” where they asked users to submit their “look”. People would then vote on the best ones and prizes would be announced for the ones with the highest number of votes. Because the application was created for the Egypt region, it supports both English and Arabic languages and the users could switch to whichever one they prefer with one click. It was important to make the application aesthetically pleasing and visually engaging. This meant the use of animations, screen transitions and more. We utilized the latest web technologies such as JQuery and HTML 5 to tackle these requirements in order to ensure the best cross-platform compatibility and kept it tablet friendly. The application was launched on the brand new “Beauty of the Nile” Facebook Page and served as the spark through which they earned their first 20,000 Likes within a month.